WOW…….following on from the cover of #59 and its simple solicitation line of ‘Overwhelmed’, this is an amazing follow-up. Is this Rick making his last stand, making his sacrifice for the safety of his son and others………?????? 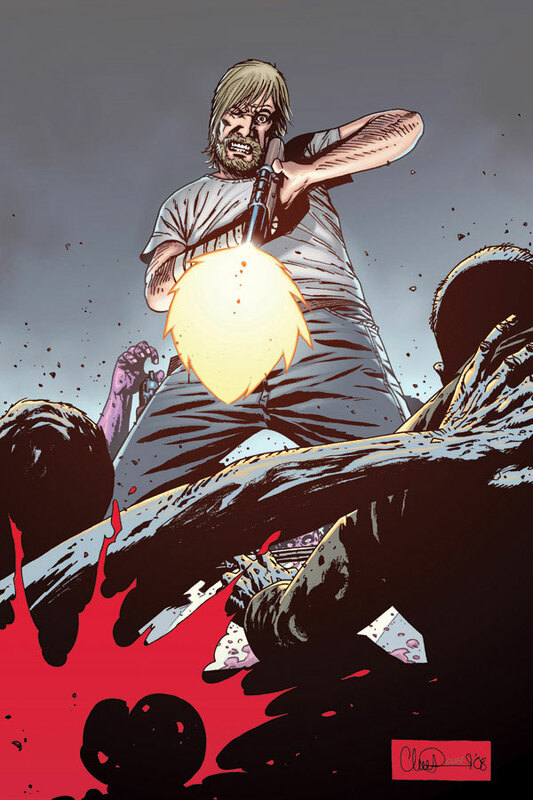 Only 2 months to find out…..
Oh, and Charlie Adlard produces the best covers EVER.